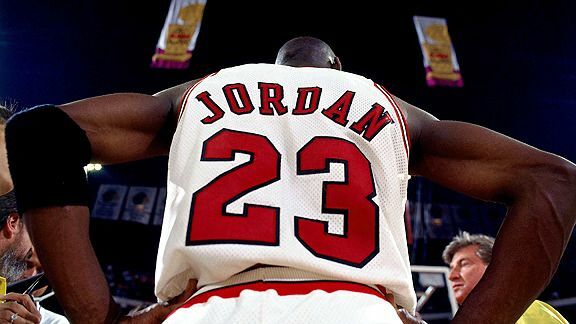 To celebrate Michael Jordan's 50th birthday on Feb. 17, "SportsCenter" has put together 50 of MJ's greatest moments. From "The Flu Game" to "The Shrug," "SportsCenter" ranks Nos. 11-50, and you ranked the top 10! Watch "SportsCenter" on Feb. 17 to see the debut of the full list of Michael Jordan's Top 50 greatest moments. *How are the points calculated?